I remember the first time I plugged in the classic Ibanez TS-808. I was working in the studio with Dennis Hodges, as we were preparing to film one of the very first song lessons we had ever filmed.. a lesson for Pantera's "Walk". I was a young pup them, maybe 25 years old, without a clue of what I was doing. I had never really played guitar, hardly screwed around with recording a guitar, and better yet, had very little clue what I was doing trying to film video. But hey, it was a startup. JamPlay.com was hardly a thing, and I was 100% committed to the fake-it-till-you-make-it idiom I was taught in college. The amp we used was this Crate P.O.S (if any Crate executives are reading this, my apologies. Keep reading, it gets better). It had been through a good 10 years of touring with 18 year olds (I think everyone who used it was 18, it just was a hand-me-down between locals). Old cigarette stains, torn carpet, battered speaker covers on the cab.. but nonetheless, a decent sounding solid-state amp. I didn't mind it. Granted, my ears for hearing good tone were about as undeveloped as they could be, but I still enjoyed it. I almost appreciated tone more back then as I do now... my virgin ears just loved everything I heard. I present to you... tone puberty. My futile attempt at mimicing Dimebag's tone in 2007. This is the sound of innocence, the aural waves of naivety, and the tone of ignorance. This was produced in a 8x10 bedroom before we ever had a clue what we were doing. Also please notice Dennis laughing at the staff having a pseudo head bang session behind the cameras. But I digress. The 808. The first time I really played around with it I finally realized what a good pedal could do. It didn't make that Crate sound like a $3,000 head, but it cleaned it up a lot. It rounded the ratty gain, it muted the fuzz you couldn't stand to hear, and rolled off the noisy high end I could never tame. I plugged the thing in, and it just made sense. Fast forward 3 years later and I'm filming Emil Werstler. He has the 808 in the chain, with tone and gain rolled to dead 0, and the volume at full. "It's just a boost dude". I didn't even understand it at first, but that PRS suddenly sounded even fatter than before. Each note was pushed, and it seemed like his playing was jumping out of the amp. Fast forward another 2 years, and the 808 was with us during each film session. I also discovered the cult-like following of the pedal, and how many super nerds out there would modify the thing even further. The tone malcontents just can't keep their hands off the thing, and that's why we are here. For those select gear freaks who can't help but to rip apart a perfectly good, perfectly performing pedal. So here it goes, with Steve McKinley's full tutorial on how to mod this 808. Steve will show you how to tear this thing apart, along with showing some classic, and original mods. Disclaimer: Mod at your own risk. Your crazy idea of modding this thing will void the warranty, and I can't be responsible for your gear addition, or damage you do! Steve McKinley takes a look at a couple mods for the Ibanez TS-808 Tube Screamer. In the first section you will learn how to make your sound more transparent and lower the noise floor, and in the second part you will focus on cleaning it up so it can be used as a clean boost..
Once again, please be careful and modify at your own risk. If you don't feel comfortable with the solder gun or were horrible at playing "Operation" when you were a kid, you may want to hire somone locally to complete these mods for you. For those smarter than myself, here is a full diagram, compliments of Steve Cerutti. Gear nut? We have plenty more from Steve, which include tutorials on replacing your input jack, installing a killswitch and much much more. View the full series below, and of course, create a full membership to access this material. Steve McKinley talks about replacing your pots, or your potentiometers, in your guitar. Used for your volume and tone control, they may need to be replaced if they start to get scratchy or lose functionality over time. Steve McKinley talks about changing out the inductor on your wah. Most come equipped with a red fasel inductor, giving it more of a modern and aggressive sound. Steve will be replacing it with a yellow fasel inductor, giving it a smoother, more organic sound. I encourage you all to take a step forward this weekend. Record yourself, be embarassed, and face your playing head on. Set a goal for the next step you are taking with your playing and hold yourself to it. I know it is a difficult process, but the rewards are awesome. Next week? Well, I will figure out next week's topic... next week. Like yourself, I am narrowing my focus and tackling what is in front of me. Chris Dawson is a JamPlay Co-Founder. He graduated from the University of Dayton in 2005 with double majors in Entrepreneurship and MIS, and shortly after began creating jamplay.com with partners Jeff Booth (Colorado) and Kevin Wimer (Dayton, OH). 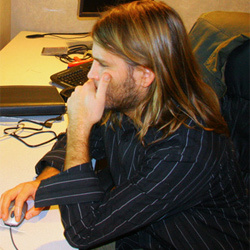 He first began the development of jamplay.com in 2007, but transitioned to artist relations, video editing, and operating the Ohio production studio from 2009-2013. Chris is now tasked with front-end web development, client-side code, accounting, music publishing, and writing crappy publications such as this. Go easy on him, he's shy.